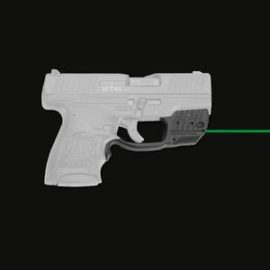 Green laser for Sig Sauer P365. LG-422G green laser sight. 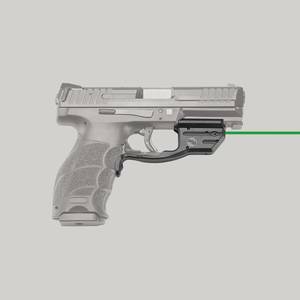 Green laser guard for Sig Sauer P365. The Crimson Trace® LG-422G Laserguard® is a powerful green laser sight for the SIG SAUER® P365 pistol. The LG-422G is quickly and easily user-installed in moments and offers a front activation button powered by Crimson Trace’s Instinctive Activation™ technology. The laser sight will provide two (2) hours of battery life with a single 1/3N Lithium battery (included). As with all Crimson Trace laser sights, the LG-422G is completely user-adjustable for windage and elevation. This model features a Master On/Off switch for completely powering down the unit to train without the laser sight.